A record 1,92 million new cars were sold in Europe in March 2017. This is an increase of 10,5% over March last year and the highest monthly volume ever recorded. Part of the explanation for the surge in sales is that Easter fell in April this year instead of in March, like last year, which means dealers had extra selling days in 2017. Still, almost 2 million sales in a single month is an impressive figure and it even comes close to the 2,02 million sales in China this same month. March sales are usually around 11,5% of total annual volume, which extrapolates to an expected record 16,7 million sales in 2017. That would be an increase of 10,3% on 2015 and significantly higher than the previous record of 16,1 million sales in 2004. The Shanghai Auto Show is the largest auto show in the world with 350.000 square meters (3.7 million square feet) of floor space, over 1.300 cars on display and close to 1 million visitors. And while you may think the cars from international brands are the most relevant for the worldwide automotive industry, the domestic Chinese automakers are eager to show off the impressive progress they’re making in terms of quality and design. Some of their launches and concept cars are destined to be exported to the European and US markets as well. There’s simply too much news in Shanghai to discuss all the news, but we’ll take a closer look at the most relevant, most notworthy and most impressive production cars and concept cars. Sales of Large Sports Cars and Exotics fell by 5.5% in the first quarter of 2017, following a 10.4% decline in 2016. Total volume in this segment stood at 11,370 in Q1. And there’s not a lot of product news expected this year, so the decline is expected to last throughout the year. Then again, keep in mind the segment peaked at over 60,000 sales in 2015, when it almost doubled up in just 3 years time, so small declines after such an impressive growth curve are nothing to be ashamed of, especially on the lack of product news, as mentioned. We do welcome two newcomers to the segment compared to Q1 of last year, but both are still at the bottom of the ranking: the second generation Acura NSX and the all-new Ford GT. The Small Premium Sports segment accelerates its rate of decline as sales in the first quarter of 2017 are down by 11.6% to a mere 3,001 sales. 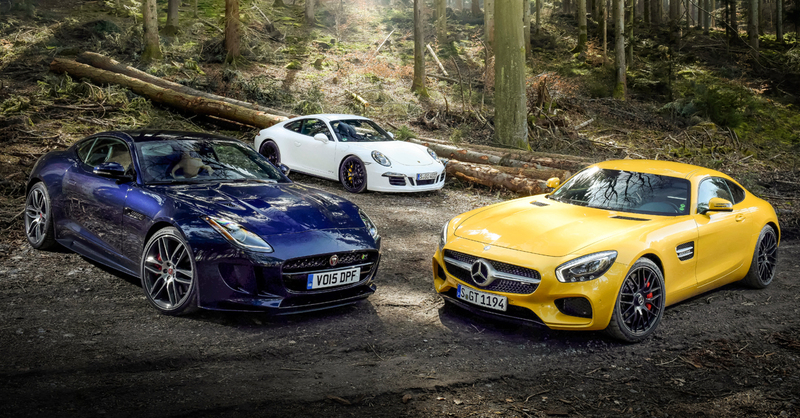 In 2016, the smallest segment in the industry already shrank by 1.8%, despite a still very fresh line-up of contenders and three updated models: the facelifted Mercedes-Benz SLK, now renamed SLC, and the facelifted Porsche Boxster and Cayman, now renamed 718 Boxster and 718 Cayman. 2017 is expected to bring a new BMW Z5, co-developed with Toyota, which will launch its new Supra on the same platform, but I’m doubtful if that can turn the segment around, also because it’s unlikely to arrive in showrooms long before the end of the year. The Small Sports segment accelerates its decline in the first quarter of 2017 with a loss of 16.8% after already losing 6.5 percent in 2016. Sales of small sports cars dropped to 69,938 in Q1 as 9 out of the 13 models lost volume, of which 7 with double digits. The top-3 are the American muscle cars, which hold more than three quarters of the segment and they lose slightly faster than the rest of the segment. And keeping in mind sales of muscle cars have traditionally proven to be a bellwether for the entire US car market, this could be yet another indication that car sales have hit their peak. Hopefully the facelifted Ford Mustang can breathe some much-needed new life into the segment. The only other sports car news in 2017 will be the new Toyota Supra, co-developed by the Japanese brand with BMW.